Just as spring is in full bloom, so is our recently launched GIY program. 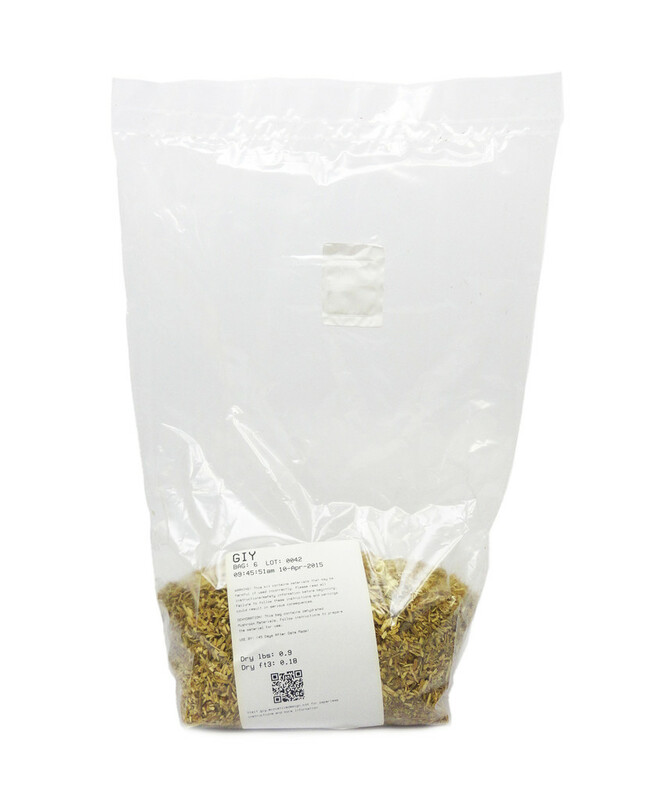 Since the launch, we’ve been inundated with orders and many questions regarding some of the more technical aspects of our GIY Mushroom® Material. Why did we choose this amount of material to put in the GIY bag? Why do we need to use plastic bags with a filter-patch? Why do we need to add water? These are some of the questions I hope to address today in this blog post. My name is Dan, and I am one of many lucky employees at Ecovative working in the research and development department. One of my beloved projects has been working on GIY- specifically being able to dehydrate our Mushroom Material and re-grow it at a later date. Now that we’ve successfully achieved this goal, let me break down the more technical aspects for you folks growing this at home and hopefully answer some questions you may have. As a refresher, at Ecovative we grow material using mycelium from a mushroom, more technically known as a basidiomycete, on agricultural waste products such as corn stover. We then use thisgrown material for various industrial purposes including protective packaging and engineered wood. 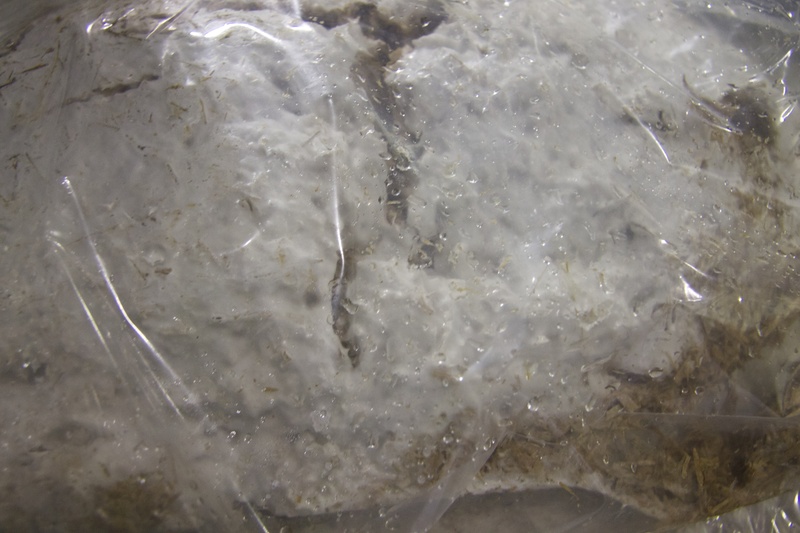 Mycelium is a collection of hyphae, which are the vegetative units or cells of fungus. One truly amazing physiological function of our particular fungus, as well as some other select organisms, is the ability to withstand periods of anhydrobiosis- a state of dehydration. This ability allows our fungus to temporarily suspend metabolic processes- that is to stop chemical reactions necessary to sustain life- when environmental conditions aren’t ideal, such as being under a state of extreme dryness. This exact ability is what allows us at Ecovative to offer you folks our GIY product without the overnight shipping costs, and what allows you to store it at home for up to 6 months! Needless to say, this fungus is truly remarkable. However, as with all living organisms, certain environmental conditions must be present in order to sustain life. For instance, suspending metabolism is not an indefinite activity- this is only meant to work for short periods of time until conditions become favorable again. Additionally, just as humans need oxygen to create energy, so do fungi. This is known as cellular respiration. This brings us to our first question: why have we chosen this amount of material in each GIY bag? It’s because of the interplay between oxygen and carbon dioxide. Too much Mushroom Material in a dehydrated bag creates a scenario where the fungal cells deep in the center of the bag will not be able to access and utilize oxygen to create energy. This will result in dead fungal cells and the growth of any bacteria that may be present. Further, if there’s an excess of Mushroom Material in one bag there will be too much carbon dioxide (a by-product of cellular respiration) for life to exist- unless there’s air exchange! This brings us to our next question: why have we chosen a plastic bag with a patch as a growth chamber for our GIY program? 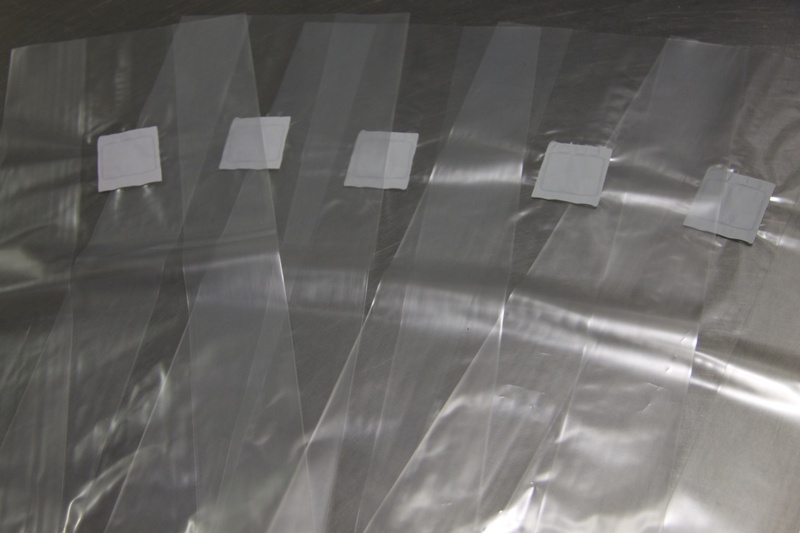 The bag is specifically designed to allow for passive air exchange between atmospheric gases via the filter-patch near the top of the bag. Again, the ones we’re focused on are oxygen and carbon dioxide. Without the exchange of oxygen and carbon dioxide, the Mushroom Material would not grow and other opportunistic organisms may appear. This is also the reason we specify in our GIY instructions not to fold over the white filter-patch, as this would prevent air exchange. These growing vessels are industry standard when growing fungi for the ability to exchange air and also prevent contaminants from entering, which makes them very suitable for this product. As you can see, fungi are quite complicated, just as we humans are. We both require very specific conditions in order to survive and thrive. Fortunately, our planet has laid out these exact conditions we require to live, which is why we at Ecovative are committed to working WITH the planet and not against the planet. This is also why we are offering our GIY product; we want YOU to work with the planet and get involved in any way you can. We’re extremely excited about bringing this product directly to you folks at home and can’t wait to see what you create!